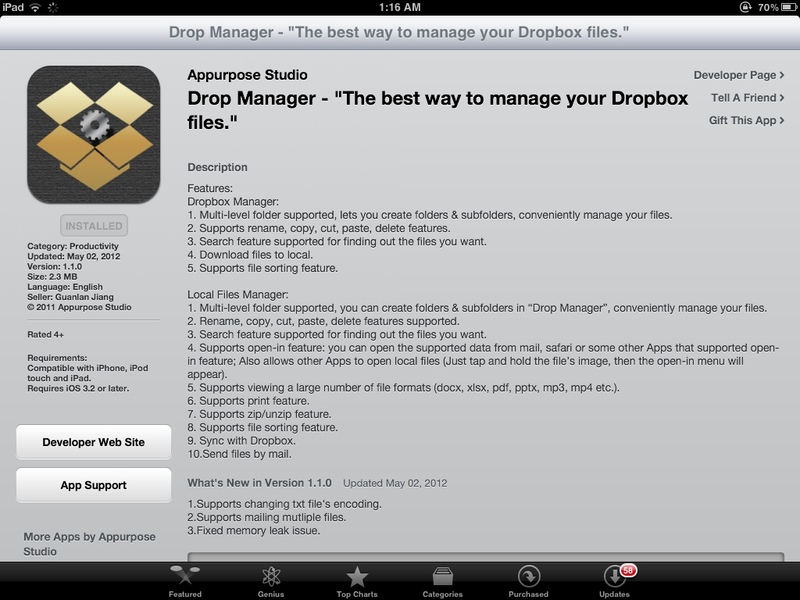 I have just discovered, downloaded and spent an hour on this app (iTunes link) called Drop Manager. This is a third-party Dropbox app. Since I am currently doing almost all my work without a PC and just on the iPad, I have not previously been able to manage my Dropbox files and sort them into folders. (I know that it can easily be done on any PC with a few mouse drags and clicks). 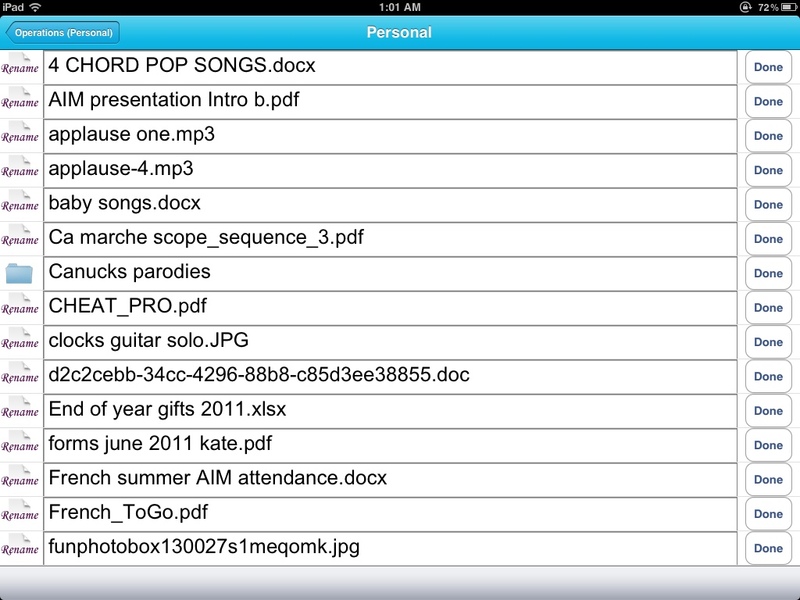 Prior to discovering this app, however, a lot of my Dropbox files were not as organized as I would have wanted. 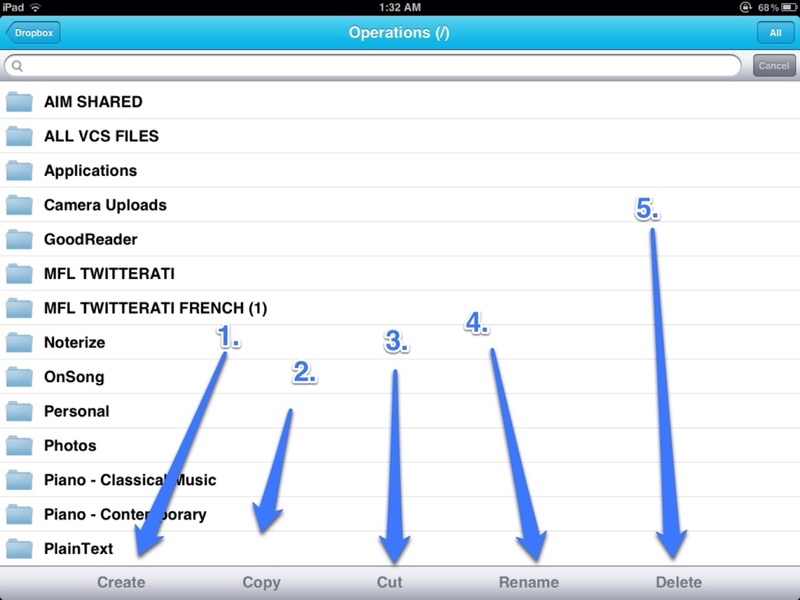 Enter Drop Manager, yet another 99 cent app that will become very useful on the iPad and iPhone. This is a universal app, so you only need to purchase it once for all your devices. Within seconds, you will have access to all your Dropbox files. Not only can you view your files and folders, the beauty of this app is that you can manipulate them. You are able to create new folders and subfolders, rename folders and files, and delete files that you no longer need. 1. Create. I was able to create a new folder entitled “to be deleted”. I chose files that I wasn’t sure I could delete and placed them in here. 3. Cut. In order to move files or folders, you can select multiple items and click Cut. You will be prompted to find a place to “Paste” them. This app is stable and has not crashed on me once. The changes are synced immediately. I had the regular Dropbox app open on my iPhone, and changes to the files were noticed almost simultaneously. Deleted folders disappeared; renamed files changed as well. 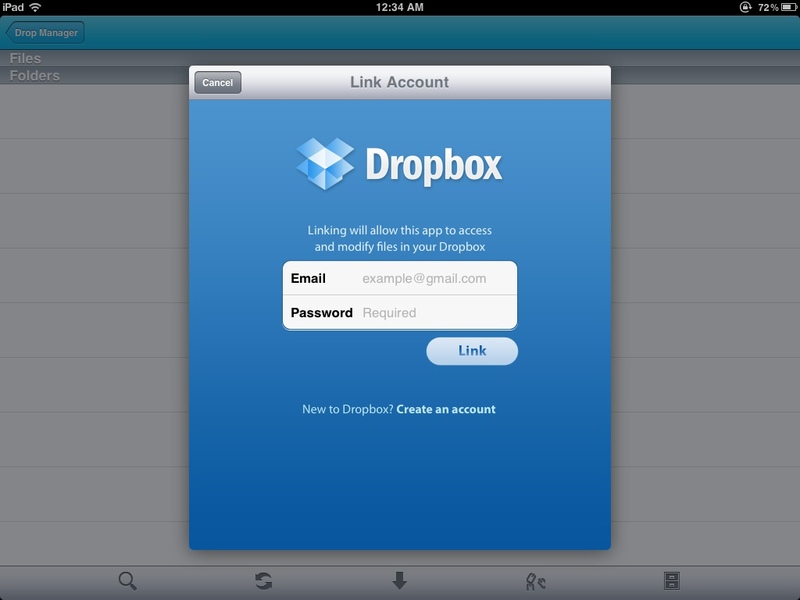 All in all, I would highly recommend this app if you want to organize your Dropbox files easily from your iPad. It does work on iPhone and iPod touch as well, but the larger screen real estate on the iPad makes managing your files much easier. 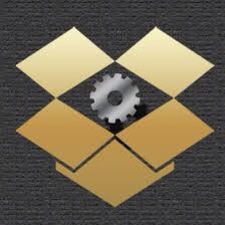 If you are an avid Dropbox user on the iPad, this app can become one of your indispensable productivity tools. Next Post App #11: Display Recorder: Video Record your iOS device!